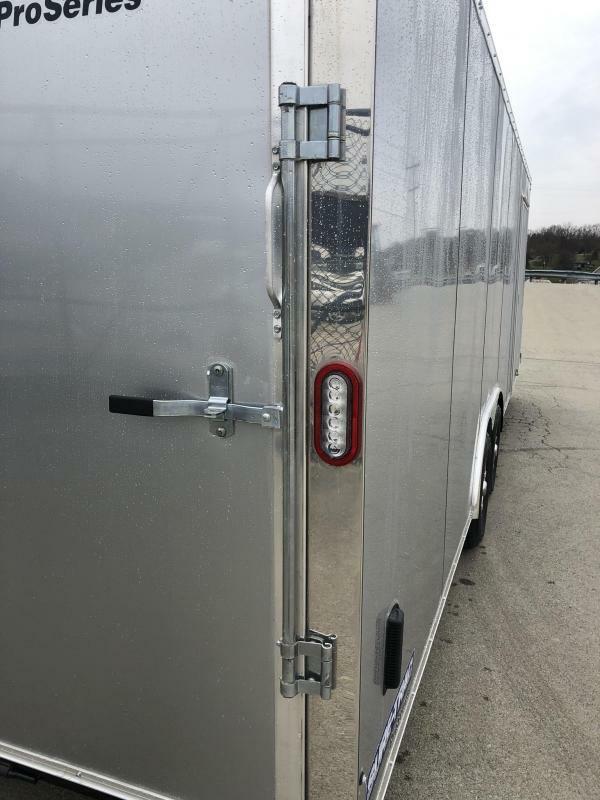 NOW STANDARD WITH SCREWLESS EXTERIOR, ALUMINUM H-MOLD TRIM (ILO LUAN STRIPS). 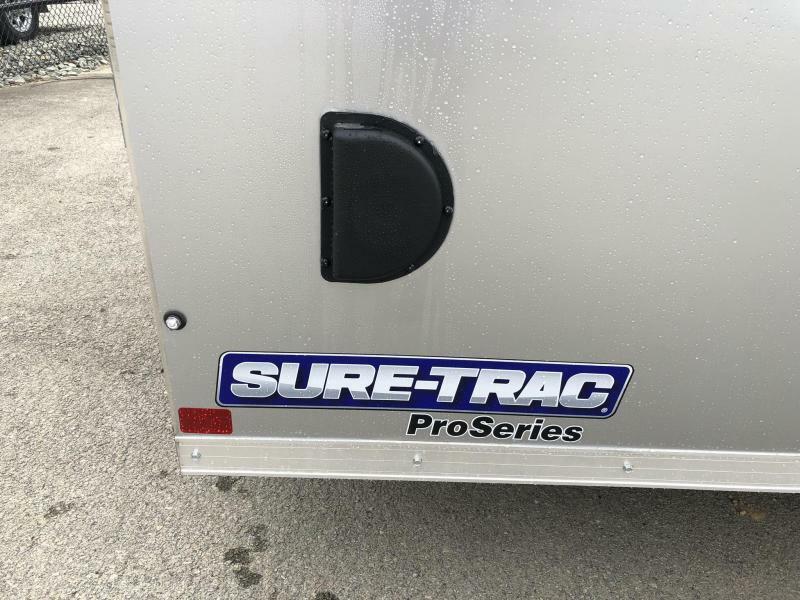 AND SET BACK 7000# JACK. 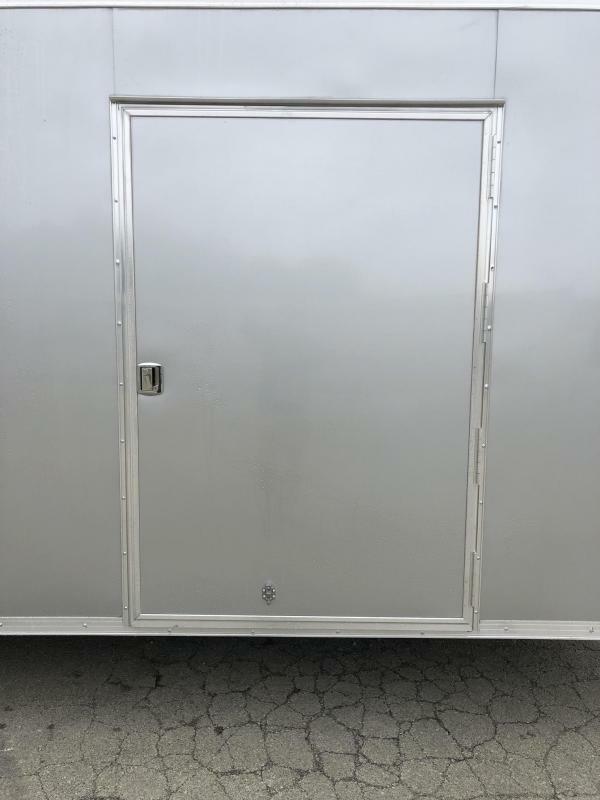 UNIT IS SILVER IN COLOR. 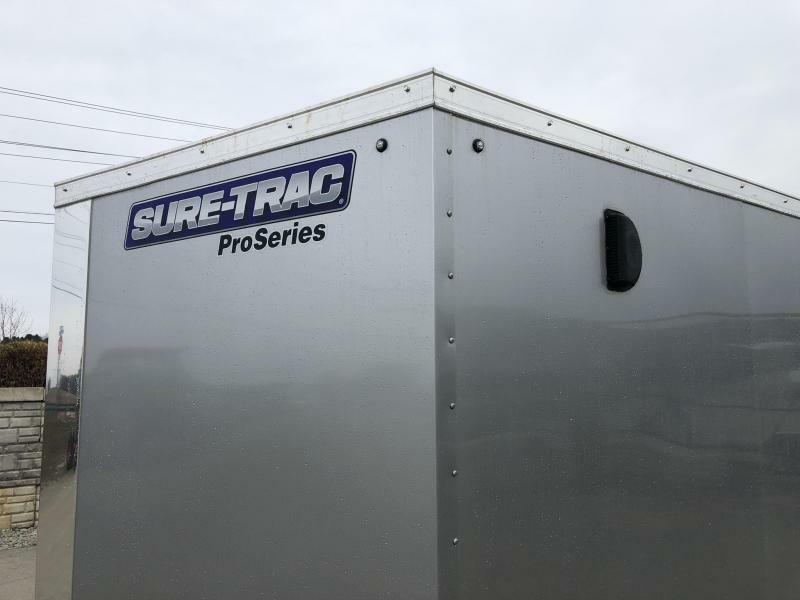 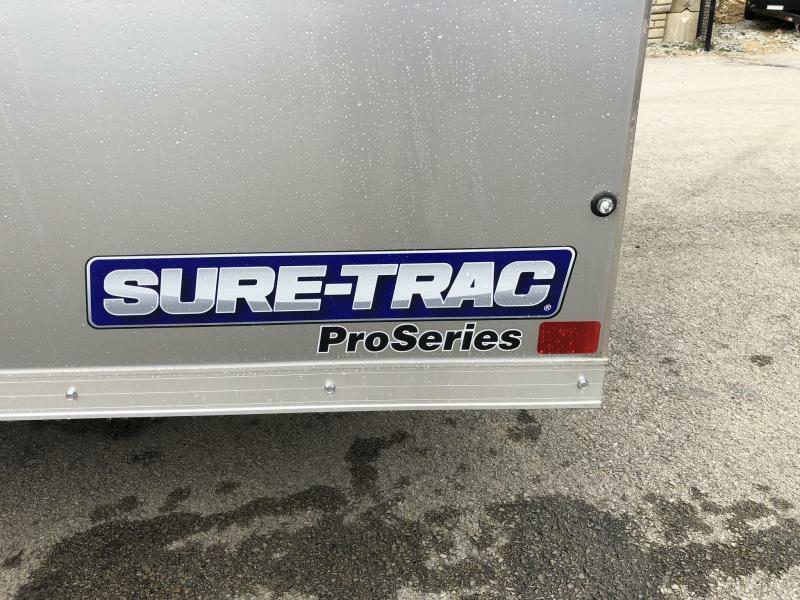 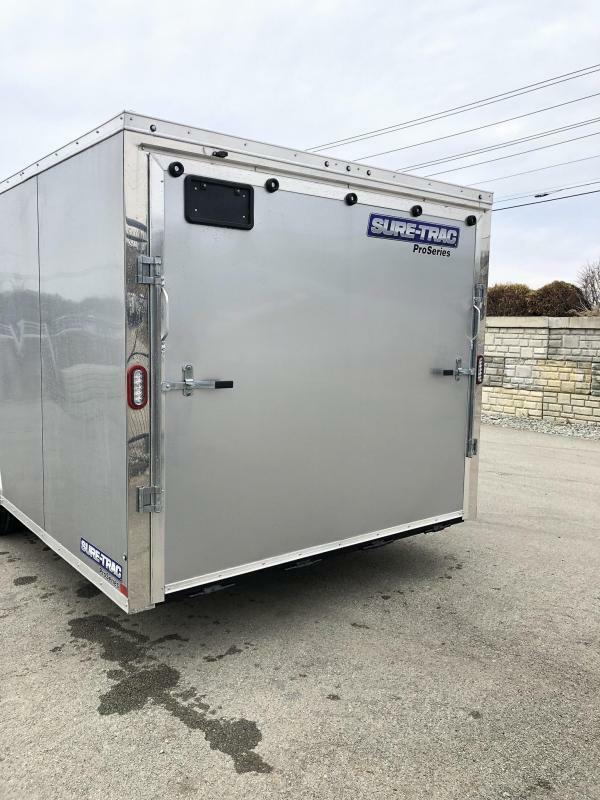 The Sure Trac line of commercial level cargo trailers are our top-of-the-line in steel subframe trailers. 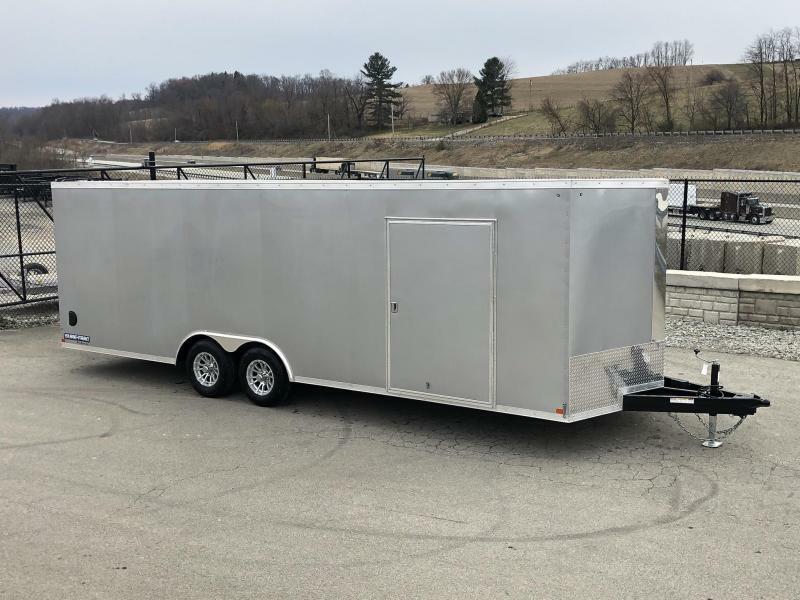 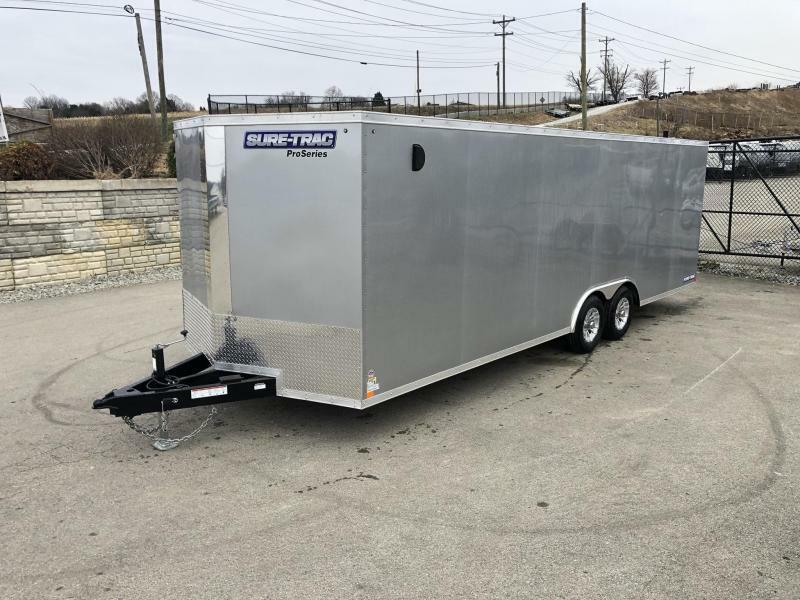 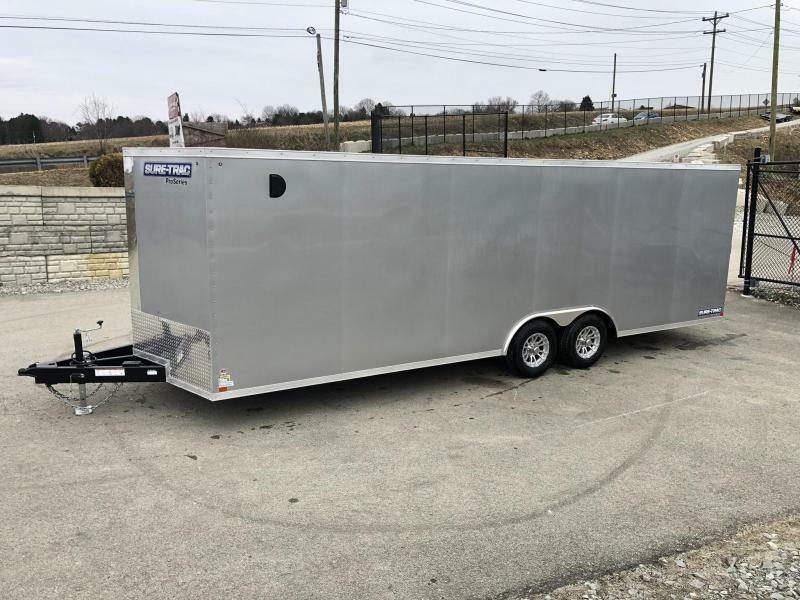 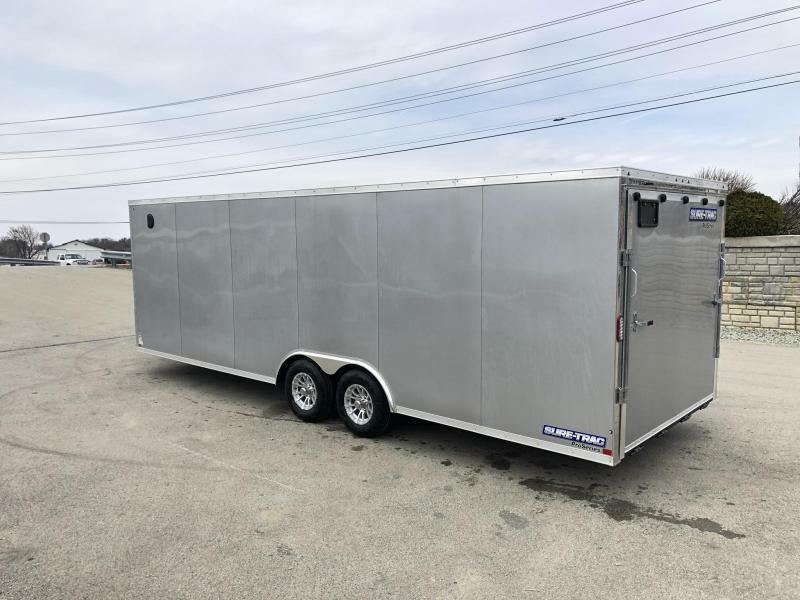 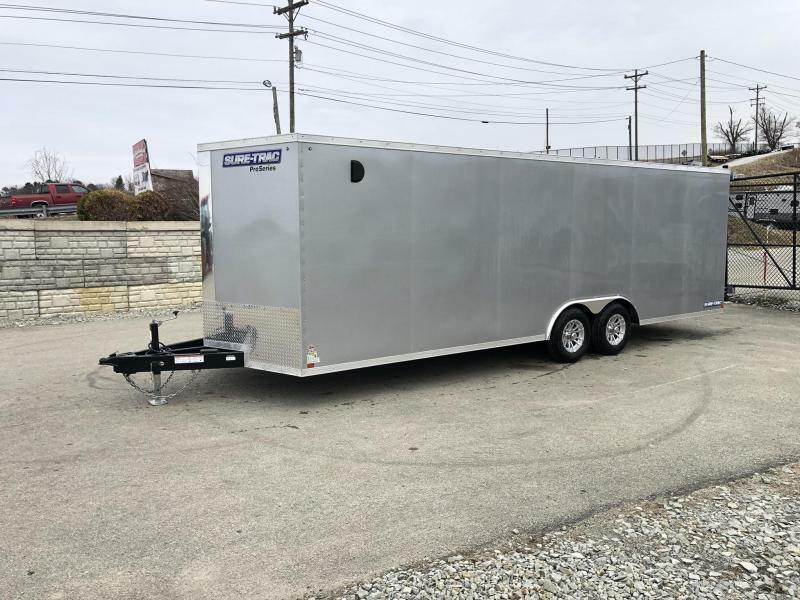 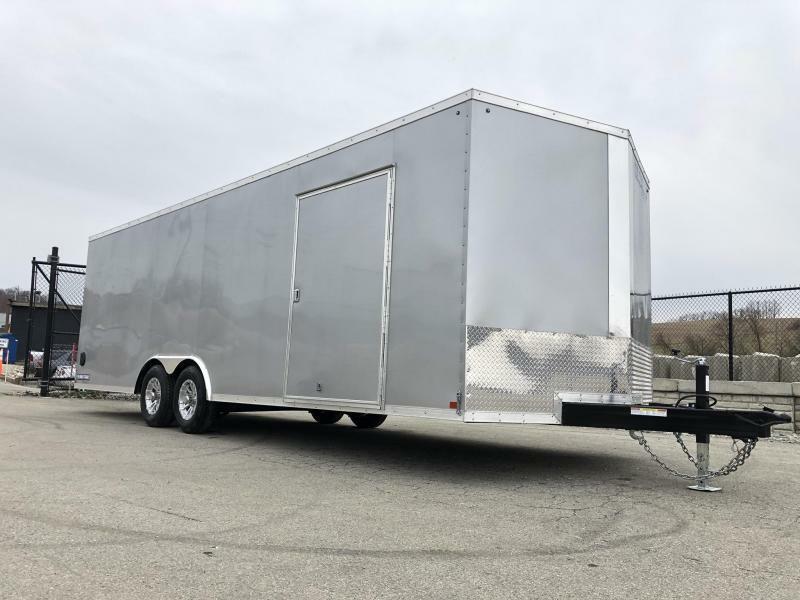 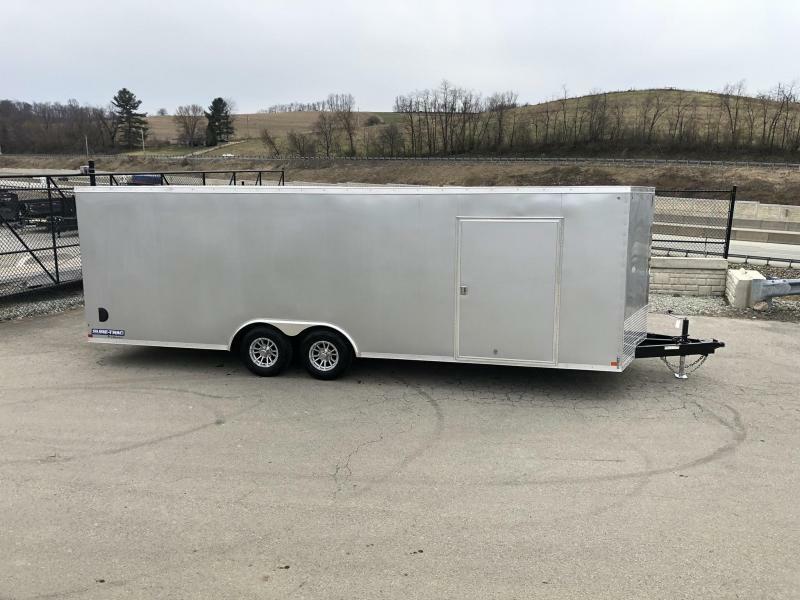 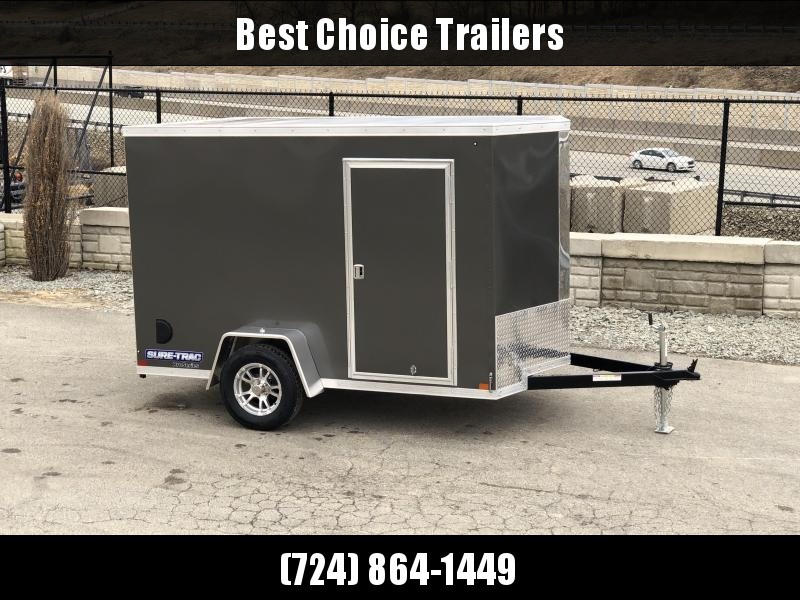 A enclosed cargo trailer is ideal for moving most types of goods, such as general cargo, motorcycles, UTV's, mowing equipment, and of course cars in a car hauler model. 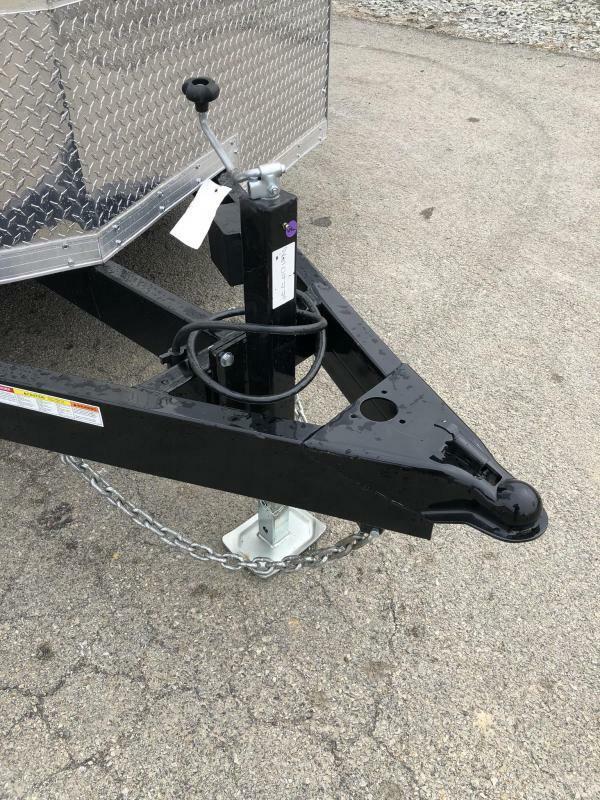 The low profile drop axle design makes the approaching load angle very easy to maneuver most items. 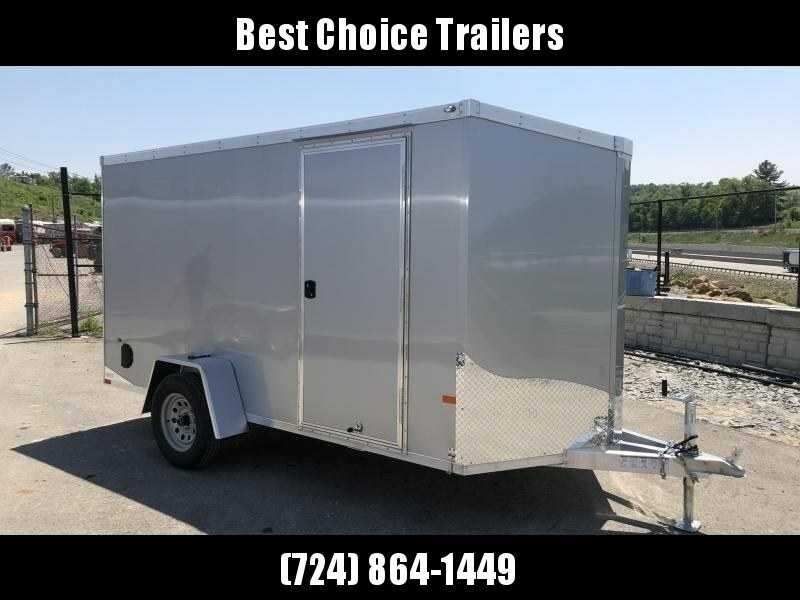 One benefit to an enclosed trailer is security of valuables, and it keeps your cargo out of the elements. 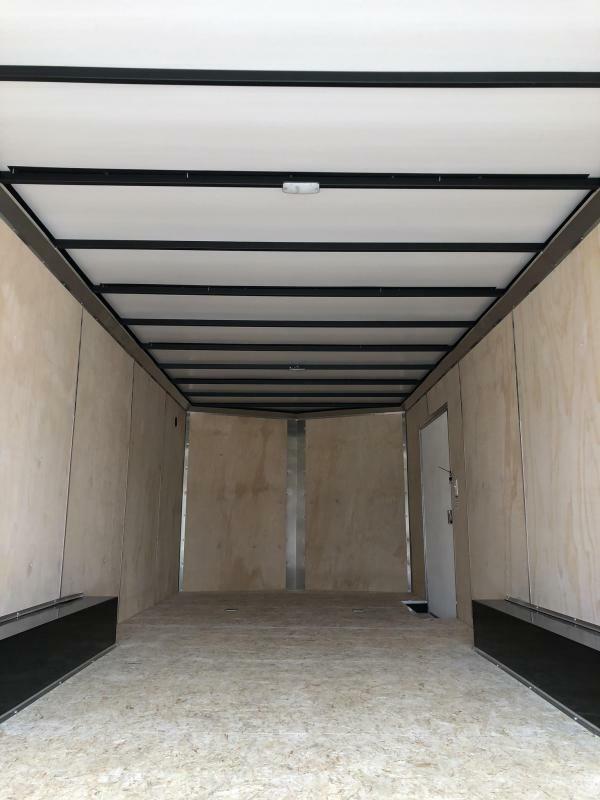 A 8.5x20 and a 8.5x24' are the most common sizes in 8.5' wide cargo's, but other sizes are available by order. 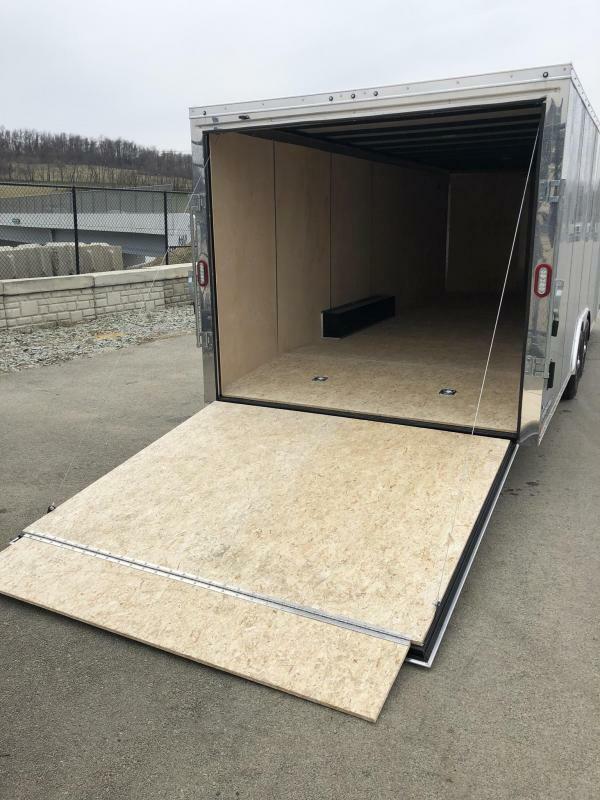 We order most 8.5' wide cargo's in a upgraded 9900# GVW, but they are also offered in several other weight ratings (7000#, 12000#, 14000#, etc). 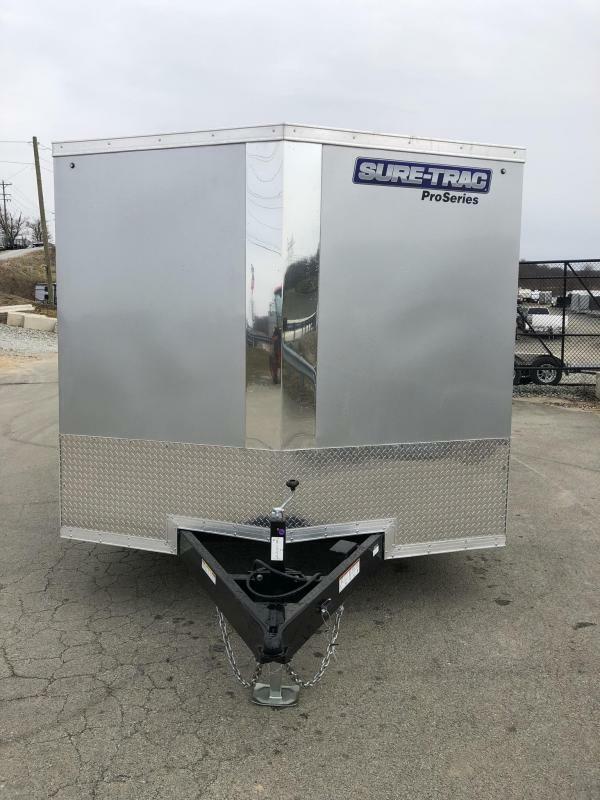 This trailer is equipped standard with a 2 5/16" ball, and comes with a 7-pin 12V plug, which is standard on most all current pickup trucks. 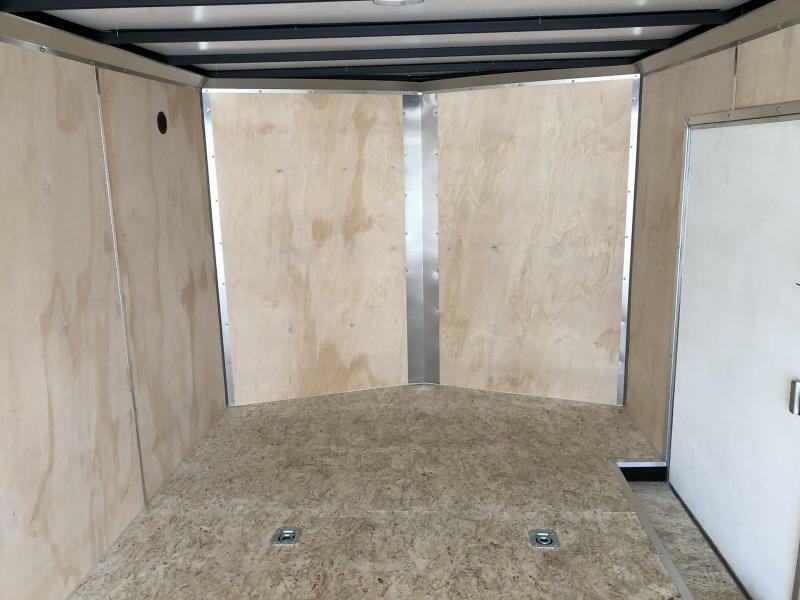 This model comes in either a STWCH flat top/V-nose model, or an STRCH round top/radius front model. 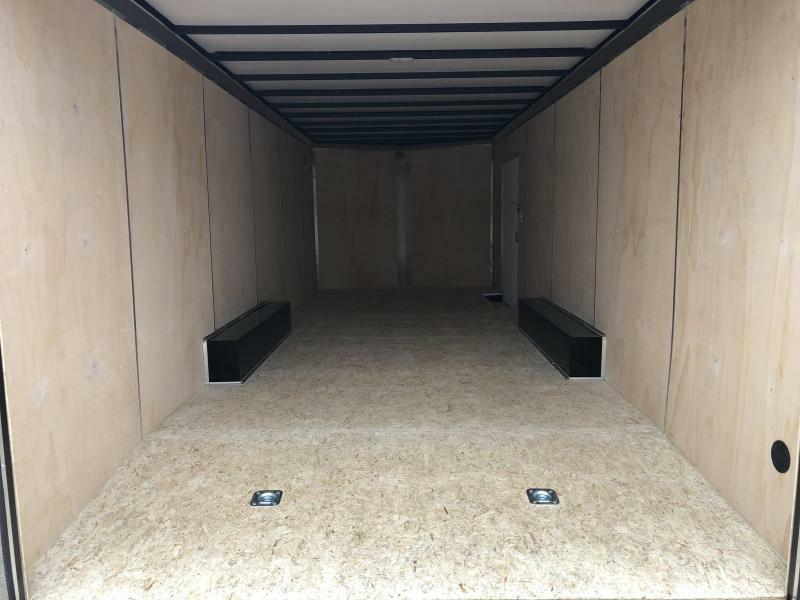 All 8.5' wide cargo will weigh about 3400-3800#, giving payloads with tongue weight of about 7000# or more on a 9900# GVW model. 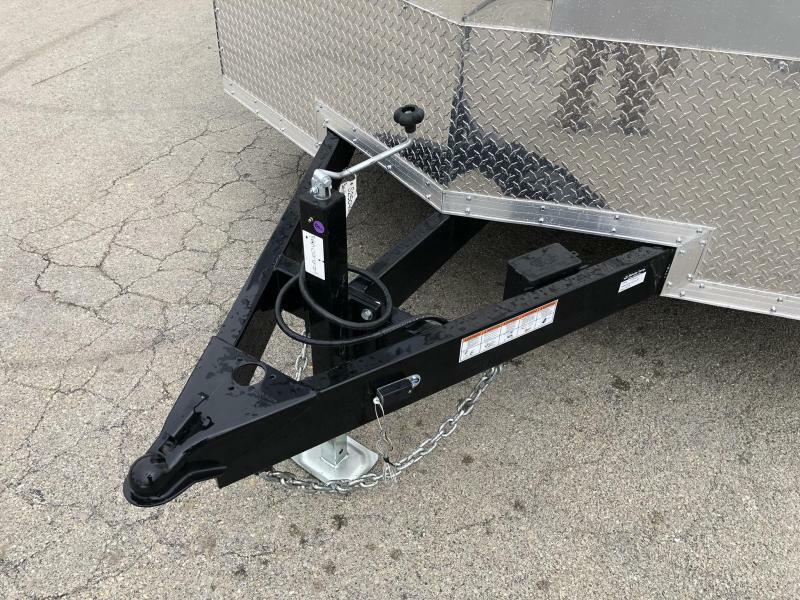 An ideal tow vehicle for this size trailer would be a AAAAAAÂ½ or AAAAAAÂ¾ ton truck. 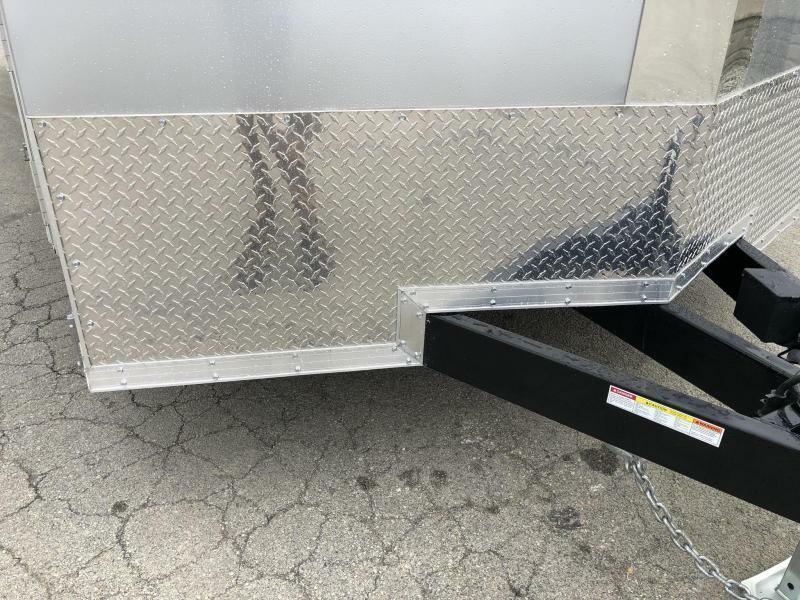 A 8.5' wide model is distinguishable by the enclosed wheel wells, and is the widest cargo trailer you can get. 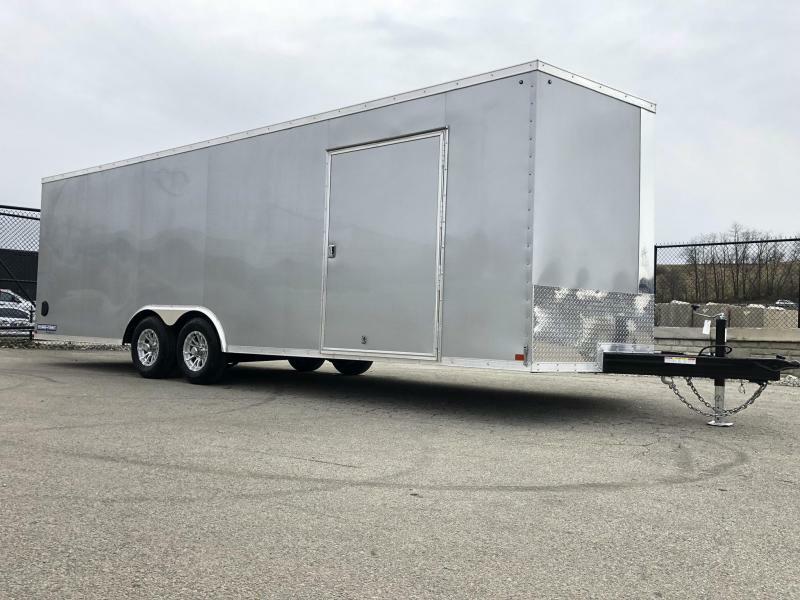 8.5' wides are known as car haulers, and are equipped with such features: 4 HD D-rings, side door step well, a triple tube tongue, oversize side door, and a rear beavertail. 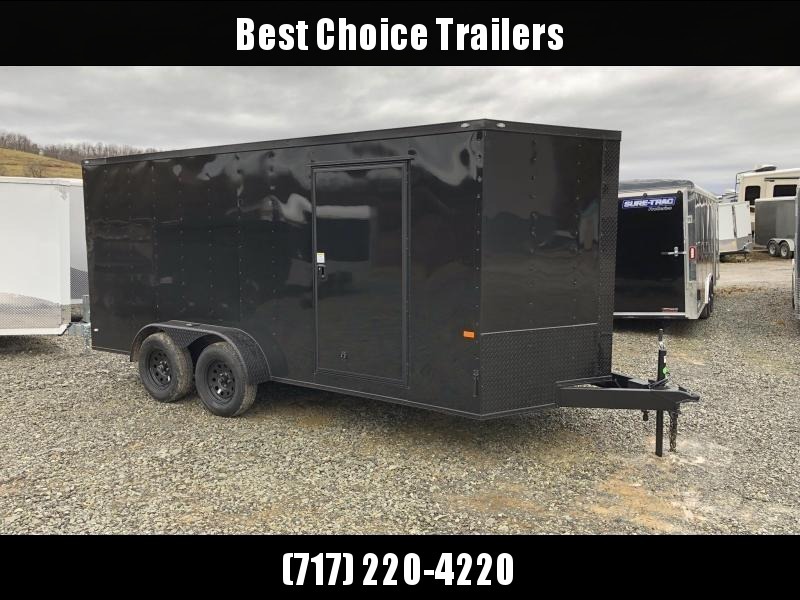 The model comes pretty well equipped, but does have a fairly extensive list of available options. 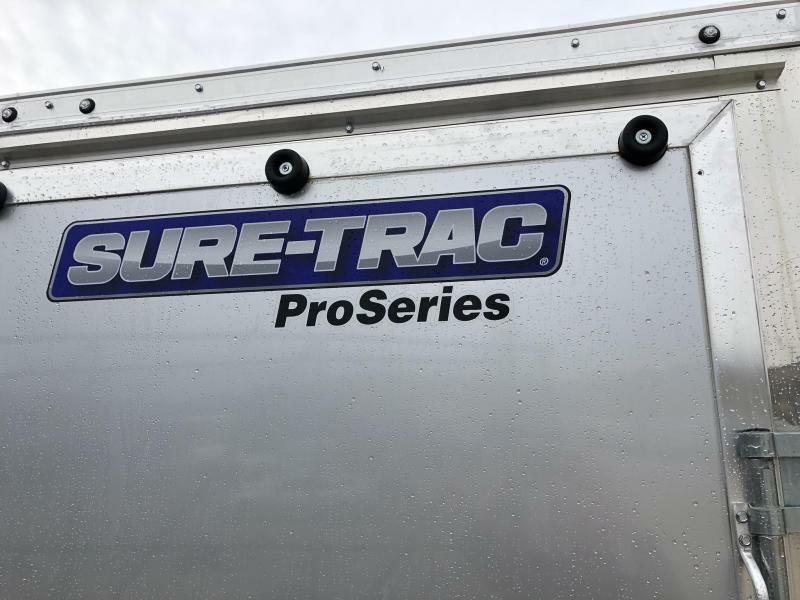 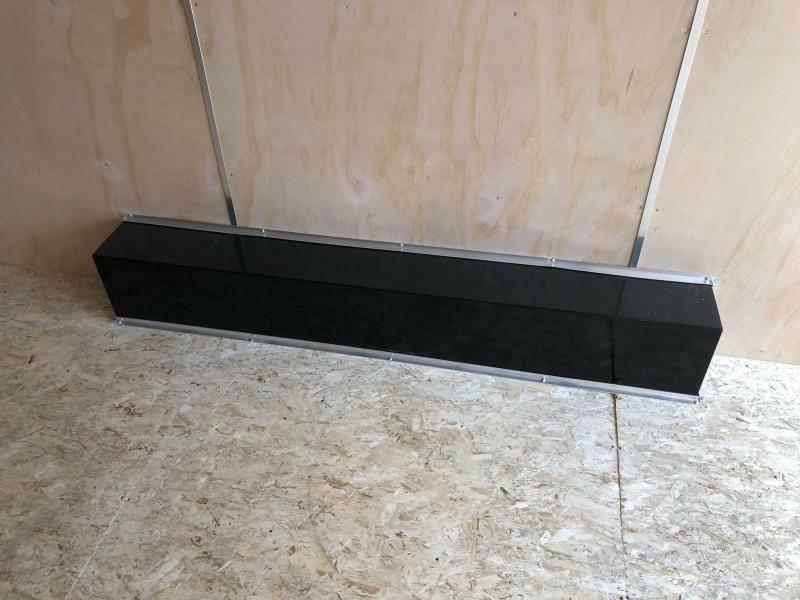 Sure Trac's attention to detail and quality is shown throughout on these models with many standard features not offered on other brands on the market. 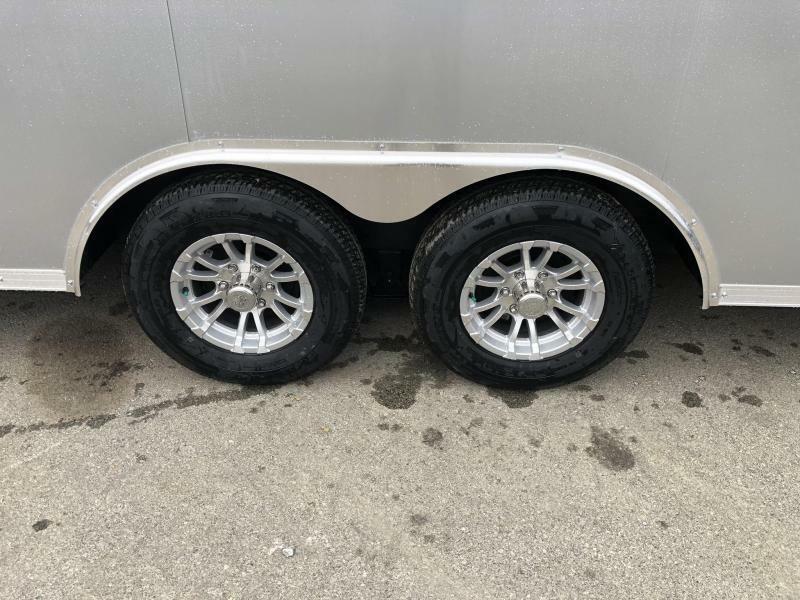 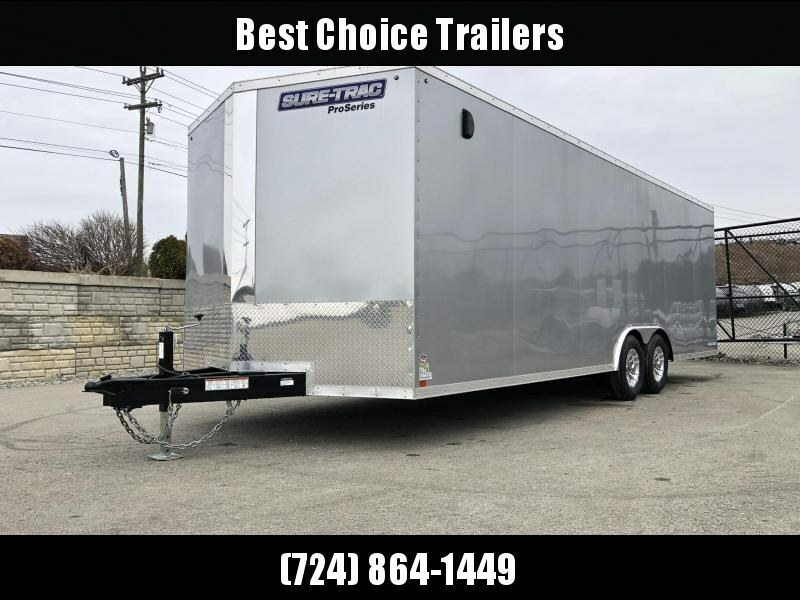 When you compare the nuts and bolts of this trailer to most others on the market, you will be pleasantly surprised with what you find. 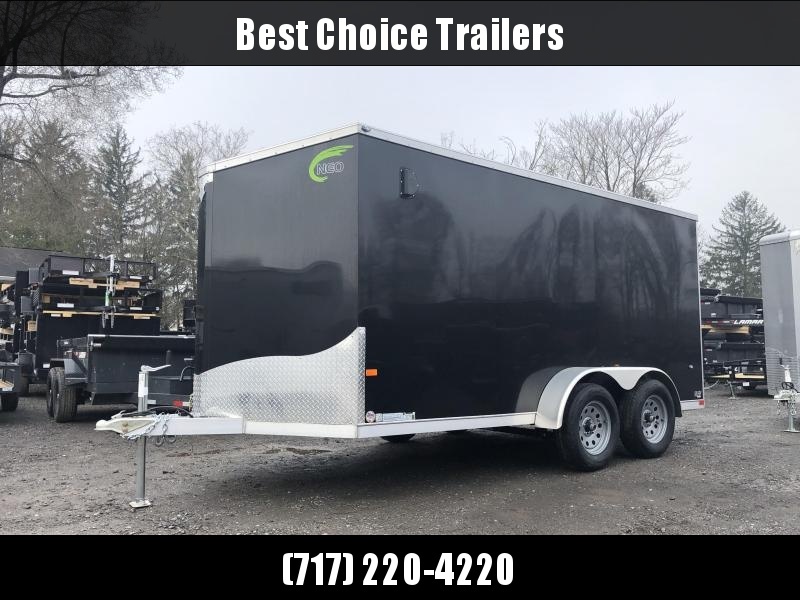 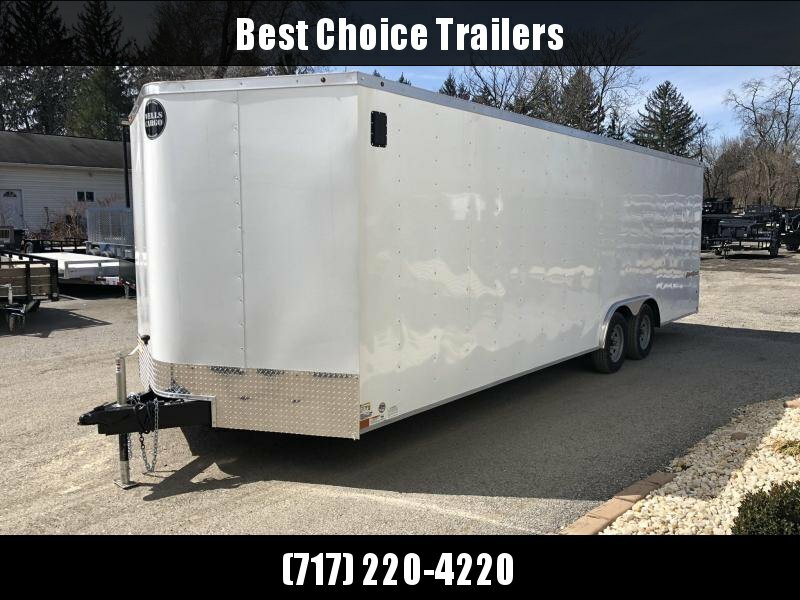 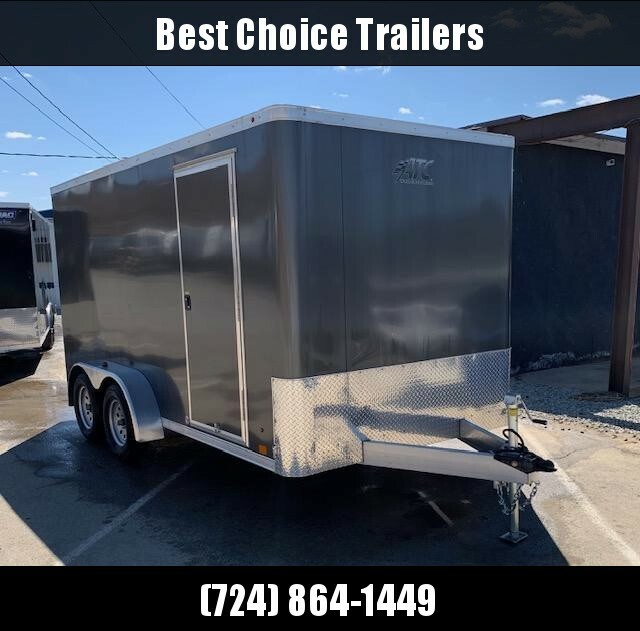 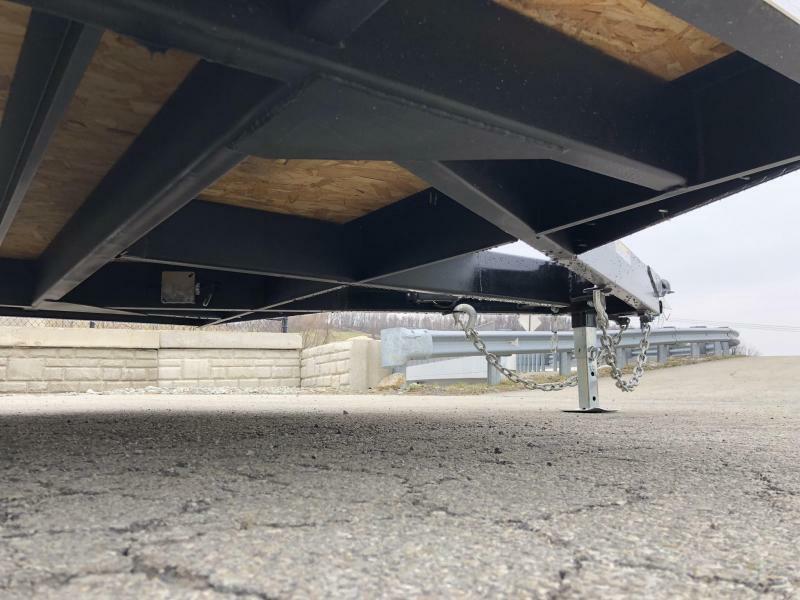 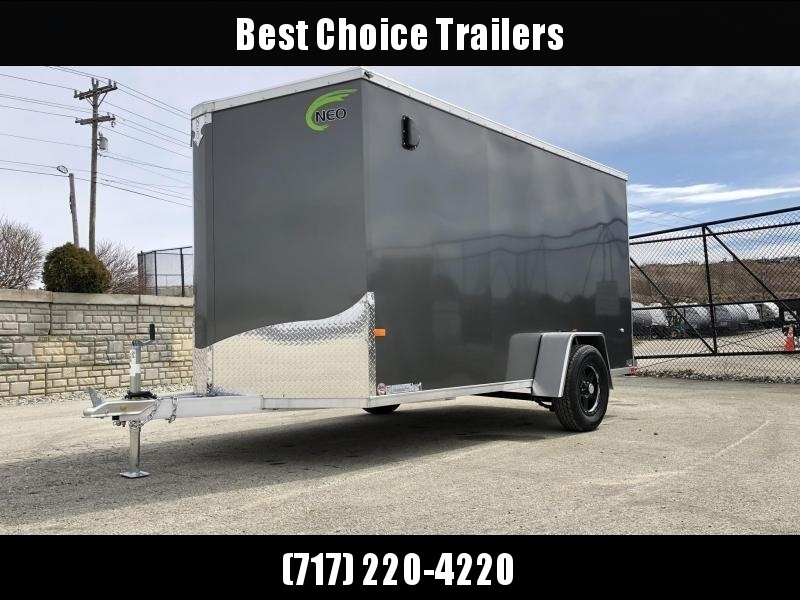 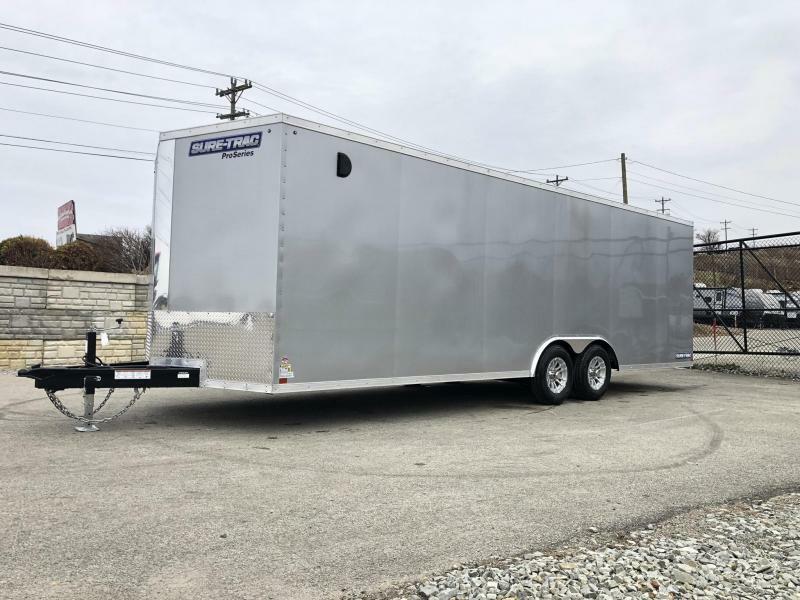 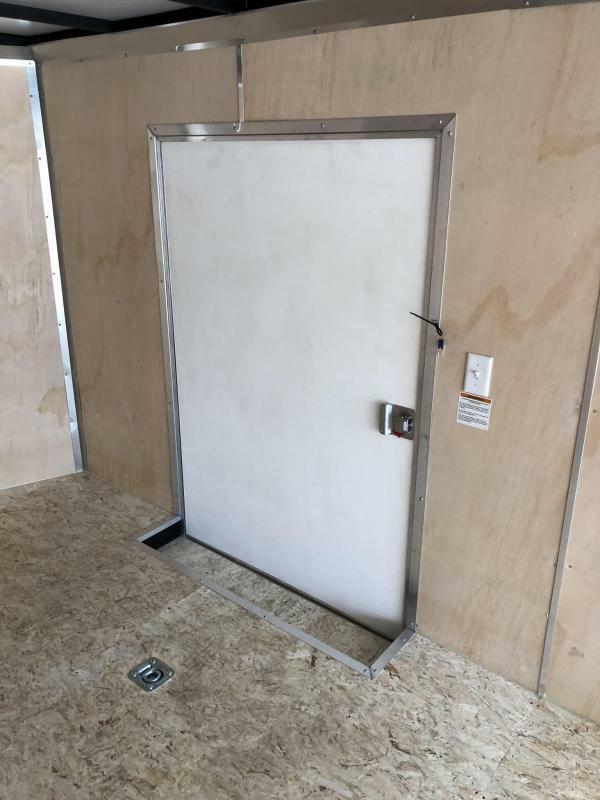 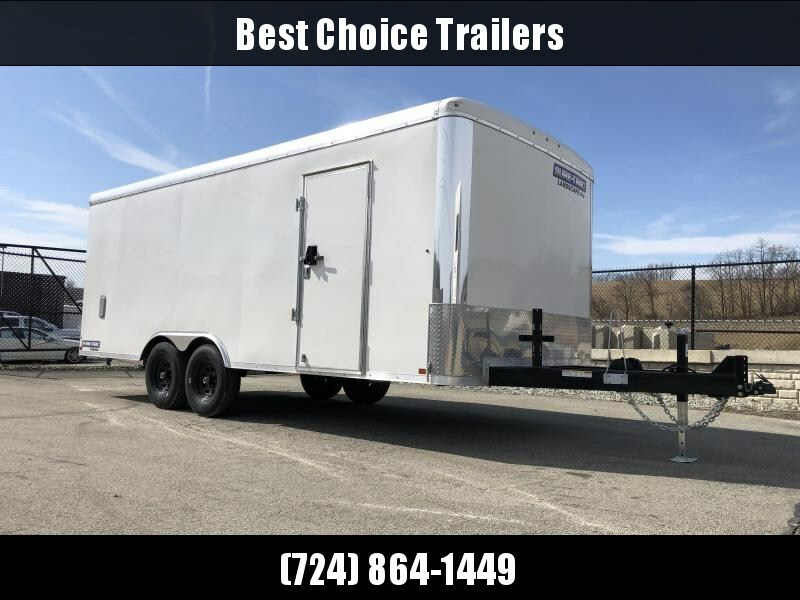 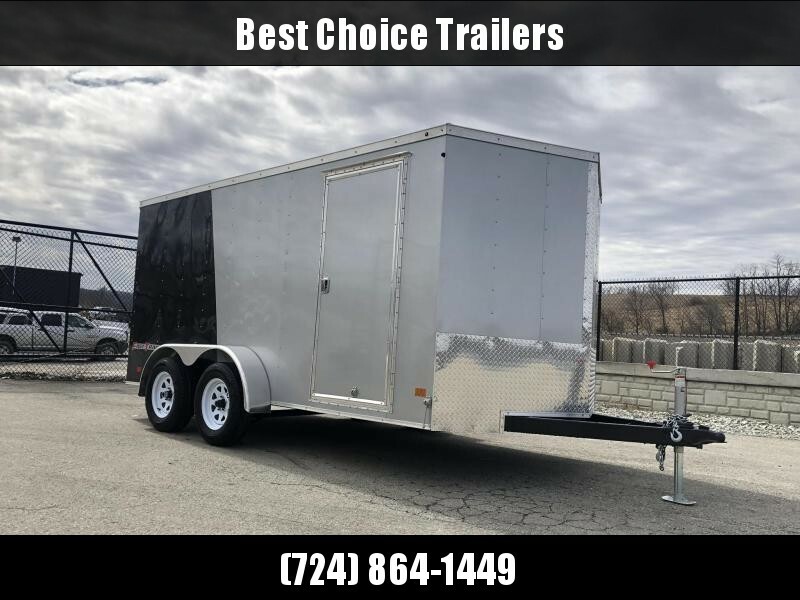 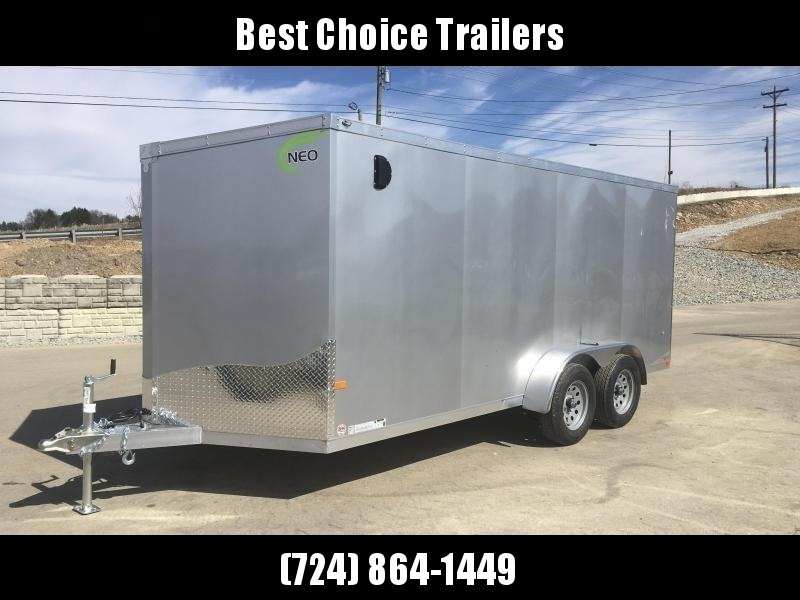 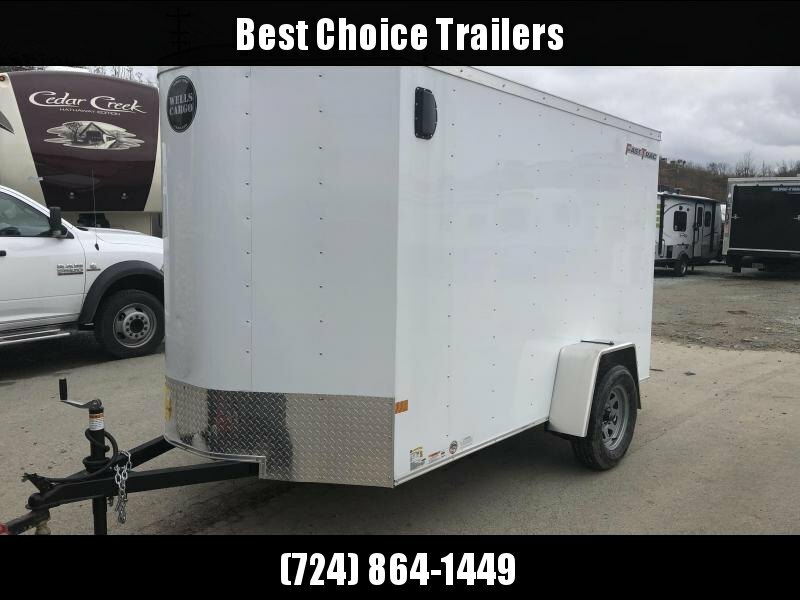 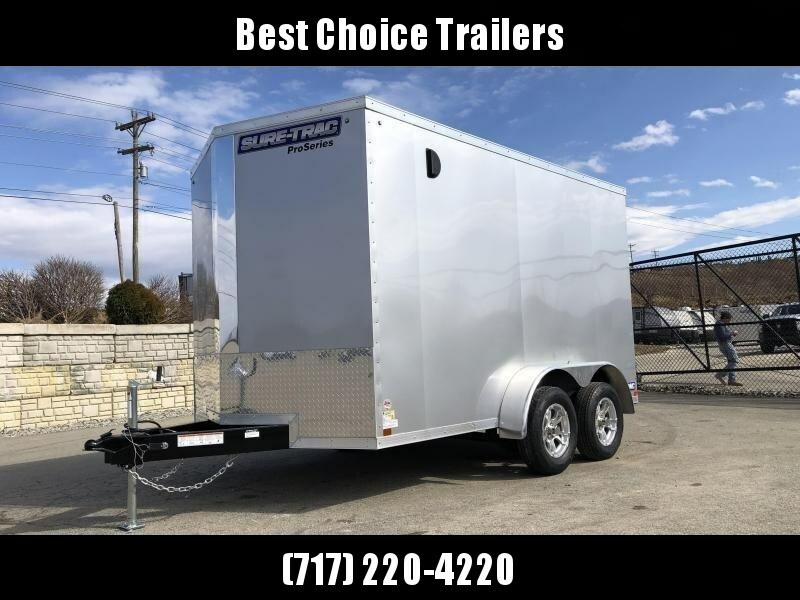 If you are looking for a trailer that is not overbuilt, is not under built, but well built for either a commercial use or a discerning homeowner (and a good value), you should take a closer look. 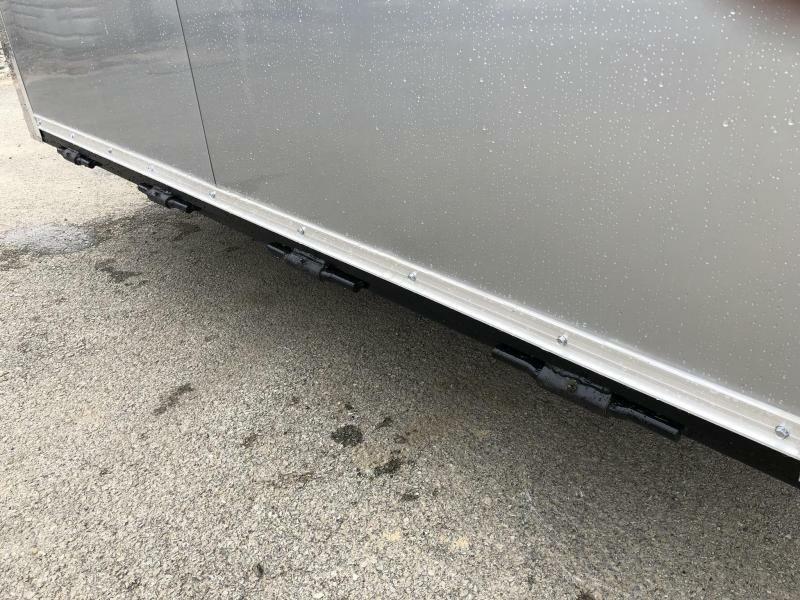 THIS TRAILER IS EQUIPPED WITH A 5200# AXLE UPGRADE. 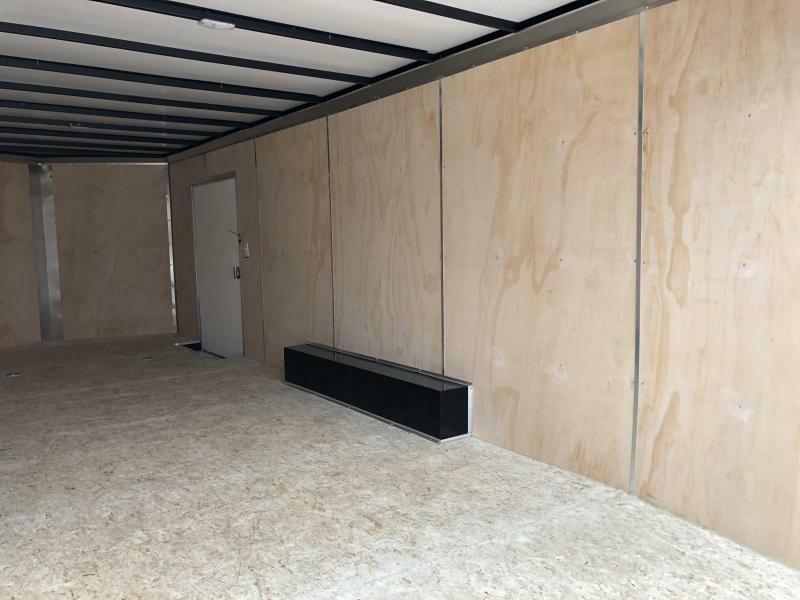 -Birch plywood walls (The walls are equipped with 3/8" birch plywood. 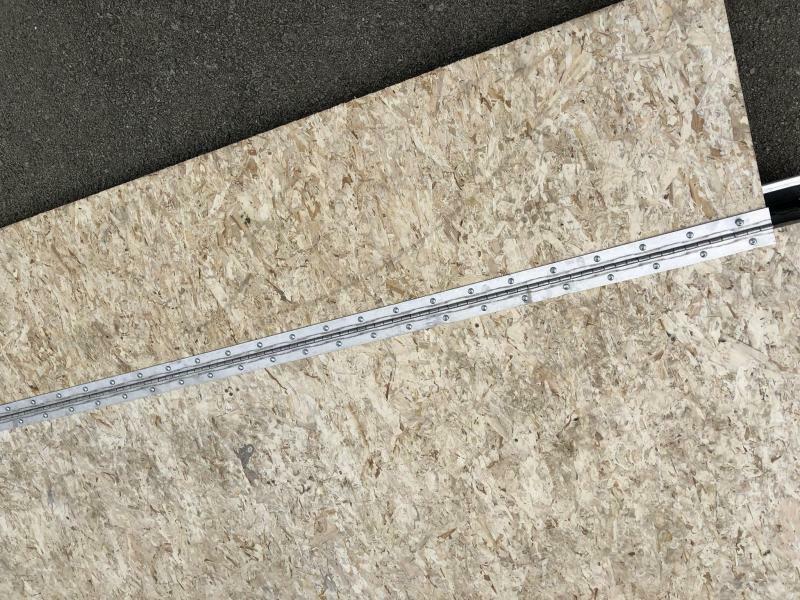 The birch has a nice look, and is a nice, smooth sanded surface. 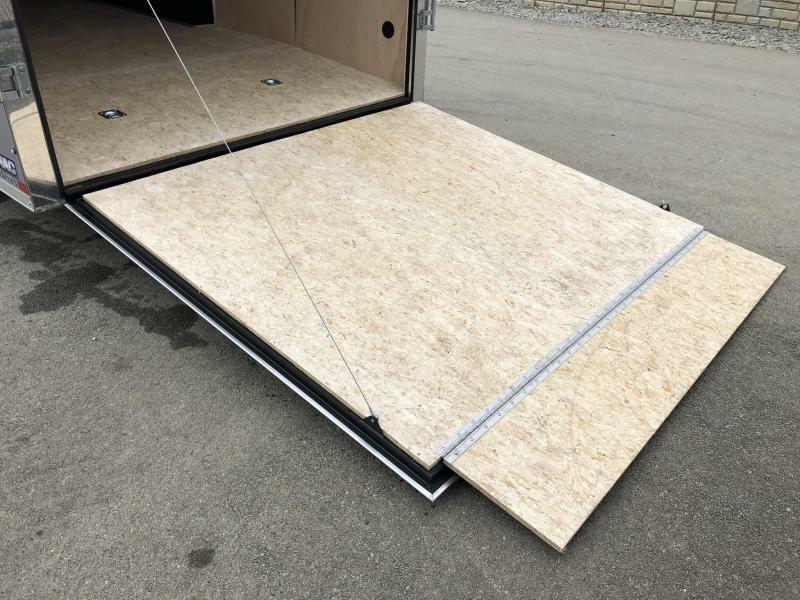 We see many cargo's using a B/C Pine, some appear to be seconds, while others come through standard with luan, OSB, or other inferior substrates).